No installation needed to run this programm. Please have a look at the readme for more informations and a manual. 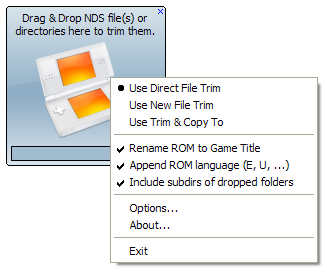 - Rudimentary SAV management: Renames existing .sav only at "Direct Trim"